Create a personalized wearable keepsake that's almost as special as your new loved one! Design templates will be loaded soon, but until then just tell us what lettering and what types of graphics you would like and we'll create a design and send it to you for approval before printing. 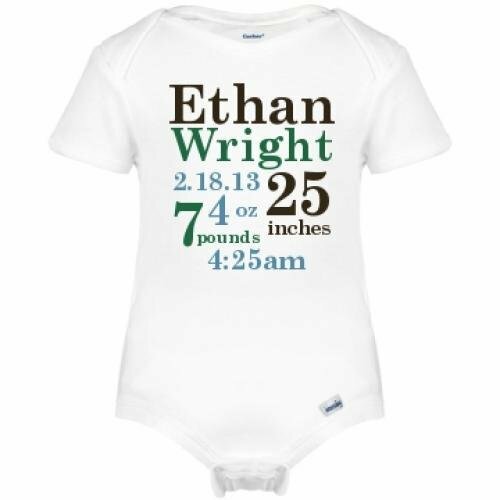 Our comfortable infant apparel is a synthetic material that is soft to the touch and vapor wicking. Includes ribbed binding on neck, shoulders, sleeves, and legs and 3-snap bottom closure for convenience. Machine wash, tumble dry. 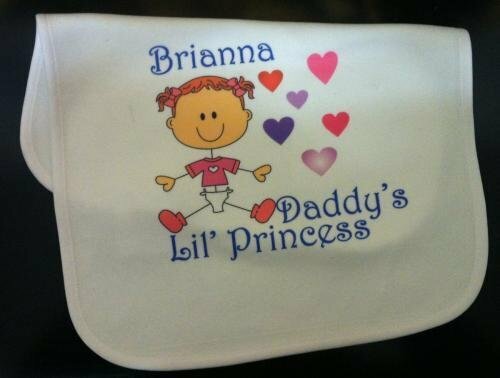 Create a personalized bib that's almost as special as your new loved one! Design templates will be loaded soon, but until then just tell us what lettering and what types of graphics you would like and we'll create a design and send it to you for approval before printing. 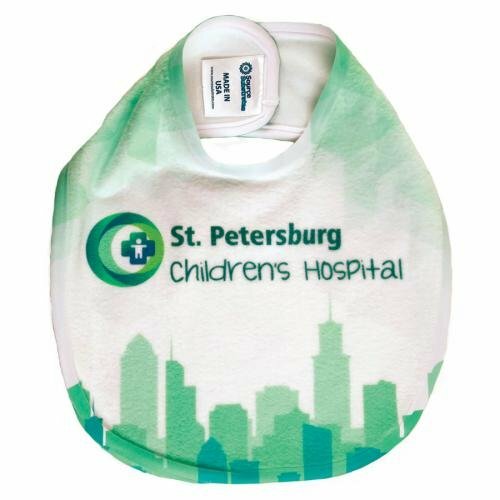 Bib is manufactured from soft white fleece, 13" wide by 15" long, with Velcro behind-the-neck closure. Imprint will not flake or fade. Machine wash, tumble dry; bleach-free and scent-free detergents are recommended. Place in cart to order online, specify text and attach graphics/pictures/logos (please see Artwork Requirements), and select shipping method. Please note that we have moved from our South Tacoma Way location. We no longer have a pickup location, so all orders will be DELIVERED TO YOU. If you are an established customer who has historically picked up your orders from us, there will be NO CHARGE for delivery to you, regardless of your location. Deliveries will be done in-person or using USPS, UPS, and/or FedEx services. For a traditional gift that will be cherished for a lifetime, our silver-plated baby cup can't be beat. The dimensions of the cup are 2.5" high x 2.75" wide x 3.75" long. Includes plastic sipper lid and gift-boxed. Engraving charges separate based on number of characters/lines engraved; maximum of 15 characters per line. Place in cart to order online, select number of lines to be engraved and specify text, and select in-store pickup or other shipping method.